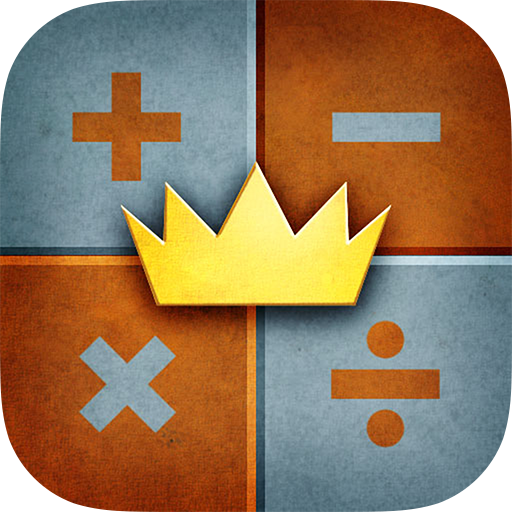 King of Math is a fast-paced mathematics game with lots of fun and diverse problems in different areas. Starting as a male or female farmer, you level up your character by answering math questions and improving your total score. New character design and music for each of the ten levels. 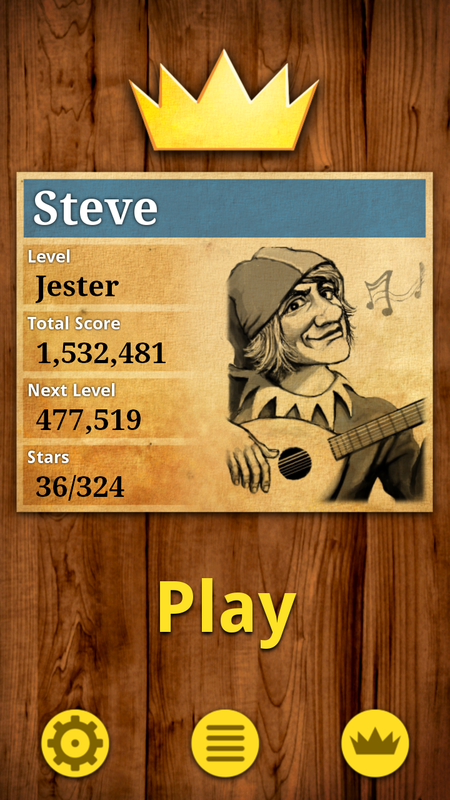 Collect stars, get achievements and compare your scores against your friends and players all over the world! Playing King of Math is a great way to improve or refresh you mathematical skills and you will have a lot of fun doing it! The mathematics level is about Middle School/Junior High School. 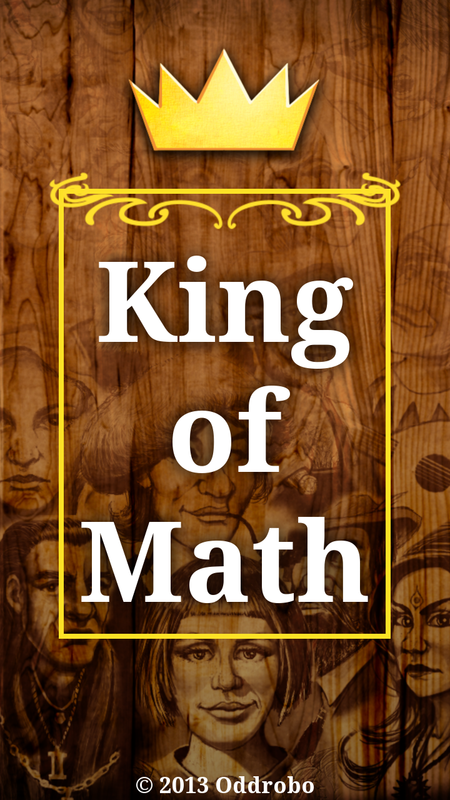 Since its release in December 2011 King of Math has been downloaded more than 10 million times and has been translated to 19 languages. It was first released for iOS on the App Store and is now also available for Android on Google Play and Amazon Appstore. As a lifetime mathematician and a math tutor and teacher of over 20 years this is one of the most engaging ways to review math skills that I have ever seen. I really like the different approaches to testing the same skills! My kids are enjoying it and I can’t put it down! I teach math to all levels of high school students, and I think that this app would not only capture their interest, but hone their computational and critical thinking skills. It is FUN, educational, and extremely well made. 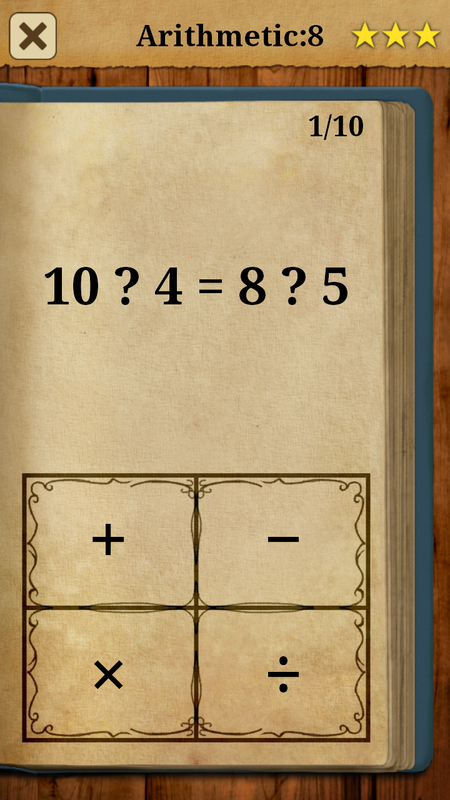 This game is not about memorizing math facts. Rather the questions really get at conceptual understanding! I’ve only done the addition book but I am pleasantly surprised at the different types of questions and how interesting this game is. The kids love this and so do I! Where has this app been all our life? We love the opportunity for fun practice that educational apps add to our home school, so we have investigated hundreds of them. This is the BEST we have seen. 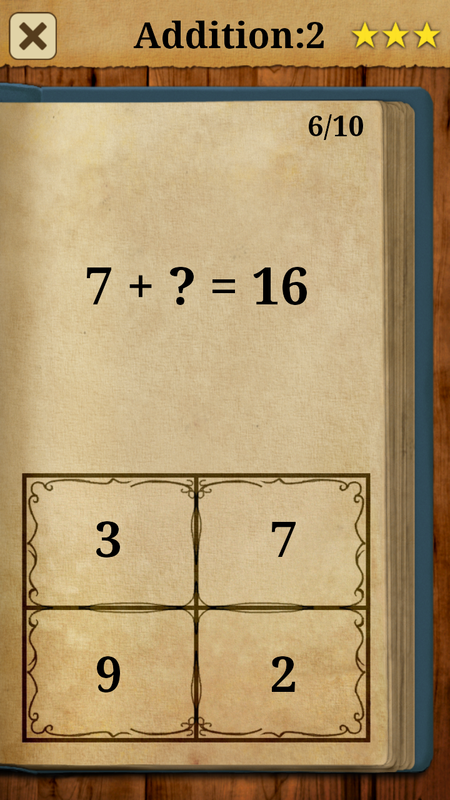 Most of the math apps stop at the 4 operations. Many of these are well done, and provide good reinforcement. 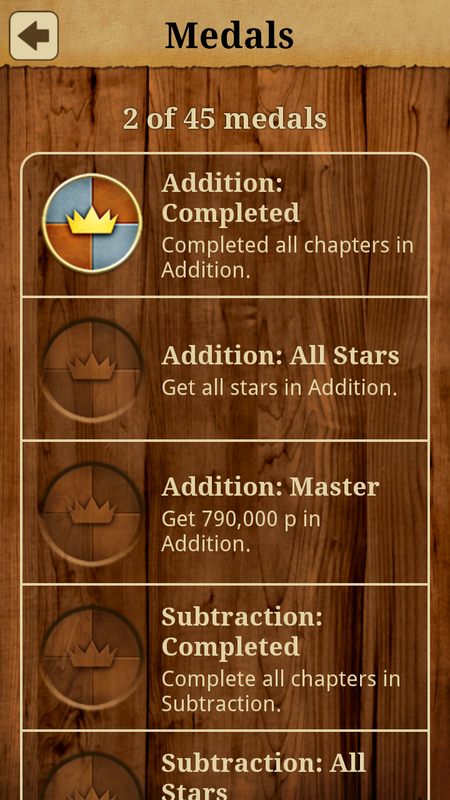 King of Math goes far beyond this, with several more topics like powers and statistics, each with gently graduated difficulty. And all in a medieval-feeling environment that takes you far from the world of worksheets. We’ll be watching for more apps from you guys! 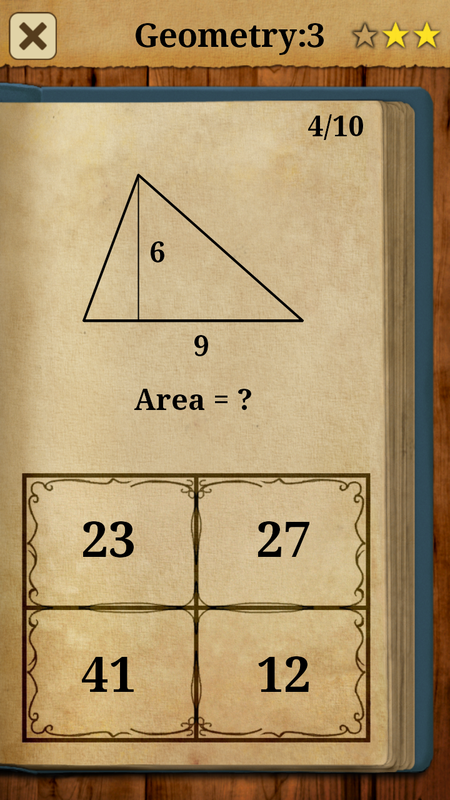 I’m not a big fan of math, particularly because I’m not quite adept at it, but this game takes me out of my discomfort zone at helps me both enjoy math and fine tune my math skills. Something I wouldn’t have imagined happening ever. 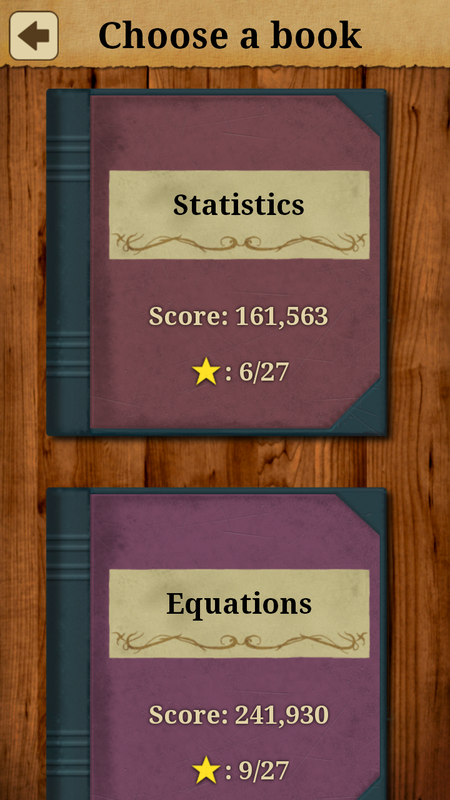 If you like math, beware, this is highly addictive. If you don’t, this is great to brush up! Love how the answer isn’t as simple as a single number as the difficulty increases (like being a different equation) or having to choose the largest or smallest answer given a list of equations. Only played the free version but it was challenging enough to have convinced me to buy the full version.